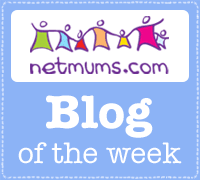 Older Single Mum: Fruits and Nuts! Mums. All fruit and maybe a little bit nuts. Anya and I met at a recent cooking event. Anya was lovely but I have to admit I was more bowled over by her boys who were both extremely smart, polite and oh so entertaining! We kept in touch and I invited Anya to guest post which I’m thrilled to say she agreed to. 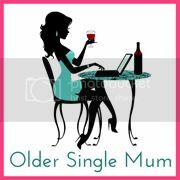 I was honoured to be asked to guest post on Older Single Mum even though I am not single although most definitely older and a mum. Admittedly, the event is not actually that recent any more and this post should have been handed over a long time ago. My excuse is that busyness, a new family business, keeping up with my existing workload and just plain laziness means I have only just got around to it. Sorry, Anya! On talking with Anya and others it quickly became clear that it doesn’t matter who you are, what your lifestyle or circumstances, or what you do – there will always be some degree of stereotypical thinking that folk tend to jump to when you introduce yourself. Much like Anya’s quest to dispel the image of the single mum, I began my blog over three years ago to share our life in a little more detail and to address the questions and hopefully shed the preconceptions that they tend to have about large families. After all, large families often seem to get bad press too! But this post isn’t one in which I’ll be standing on my large family soap box. You see, when you read that I had eleven children you probably thought several things. And a fair few more. You probably thought of me differently to the way you think of yourselves – purely because I have a few more children than you usually hear of someone having. These are the usual reactions and nothing new to hear. But I’m not really any different to any of you. My oldest child is 19. 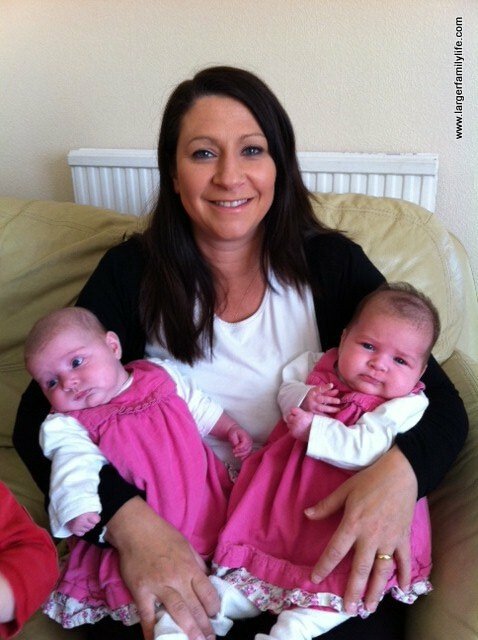 The youngest are eight month old twins. In those almost twenty years of motherhood I have touched upon every different kind of lifestyle I possibly could have, I think. I went from a teen mum in an abusive relationship to a single mum of two. I went from a single mum of two, reunited with my childhood sweetheart (now my husband). I went from vowing not to have any more children after my second to desperately trying for a third and experiencing three miscarriages instead. I grieved with each of the five further miscarriages I experienced. I suffered terrible depression ten years ago. Not related to being a mum, but believing I wasn’t the mum I should be due to two years of circumstances. I reached the very bowels of depression that had me believing my life was worth nothing. I worked, worked, worked, sometimes feeling I was struggling uphill to try to make a better life. Still do. We all do it every day in some way don’t we? I cursed the laundry, I ran around doing the same bits of housework over and over again with no difference to show for my efforts, I cooked meals. I loved being a mum some days and found it downright knackering on others. I still do all that too. Whilst I no longer feel depressed and am not mad (or haven’t yet been certified! ), I am surely not Supermum in any way, shape or form. If I’m honest I could be a far better mum, I reckon. You see, no matter which stage I was at, or what my circumstances were at any of these points I was always a mum and each stage had its own burdens and its own blessings too. And at each of those different stages there were good bits and bad bits. Yes, even the experience of depression taught me a valuable lesson. How many of you can identify with any of the stops I made along the way to where I am now? The thing is, it doesn’t matter how many children we have, whether we are married or single, old or young - we’re mums. And perhaps a little bit nuts too! Hello there, you are an amazing mum! Your story is inspiring and thank you for sharing. There is no doubt it must be hard work being a mum with such a big family. I have 3 boys all under three (twins too) and I know with 4 times the children you must love, parent and work incredibly hard. I gave up on the ironing a long time ago ;-) Here is one of my favourite quotes about parenting because it is true: "GOOD mums have sticky floors, dirty ovens and HAPPY kids!" Great, great post, and I loved the analogy with fruit. And you are so right, the experience of being a mum is a level playing field concerning how many kids a mother has. What a fabulous post and so refreshing to read. There are so many posts written by parents these days who just moan all the way through about how difficult life is, yet our children will always make us smile. You are an inspiration. Like others have said to you, I couldn't do what you do, I stopped at one! She has autism and probably as much work as 3 would be, but if I did have 11 children, I would love each one like you do. A beautiful, sincere and very honest post. Thank you for sharing. You're welcome Tania - great comments on Twitter as well. It's great to put even unconscious prejudice to bed so well. Thank you for taking the time and making the effort to do this for us. A very insightful look into your journey through motherhood Tania. Thanks for sharing. As you say, i've been to a few of those stops too as will so many others. Lol! No idea why I just posted that anonymously! What an amazing person you are! And you are right, if we're trying our best, we're all amazing in our own way. Lovely to meet you! Thank you Actually Mummy - it's lovely to meet you too! Thank you, Martin. We all have our trials and tribulations but we have the good stuff too. It's what being a parent is about isn't it? !